Sometimes when you sit down; you tend to think about most of the people you know or your friends who are already in school (higher institution). I know you certainly feel bad since you're not yet in school. but the problem is you have jamb fear; what is simply known as a phobia. But today I'll give you a magical tool on how to overcome jamb fear, and this article you're about to read will certainly put a smile on your face 15 minutes from now. 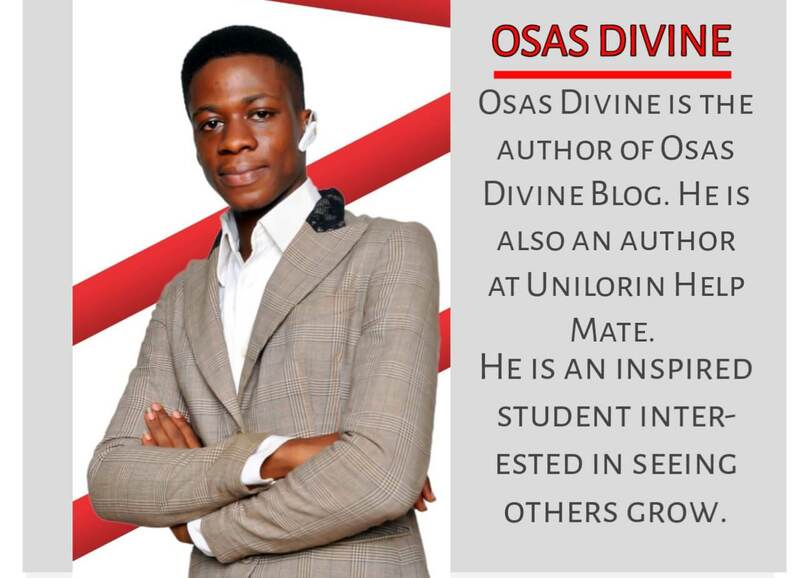 Welcome to another exciting session with 'Osas Divine' your motivator. A few weeks from now you're going to sit in front of that computer and write your fate. Agreed! Indeed, my hands are as of now shaking as I write this article. But, the good news is; you don't have anything to stress over as I am going to show you how to overcome jamb fear. 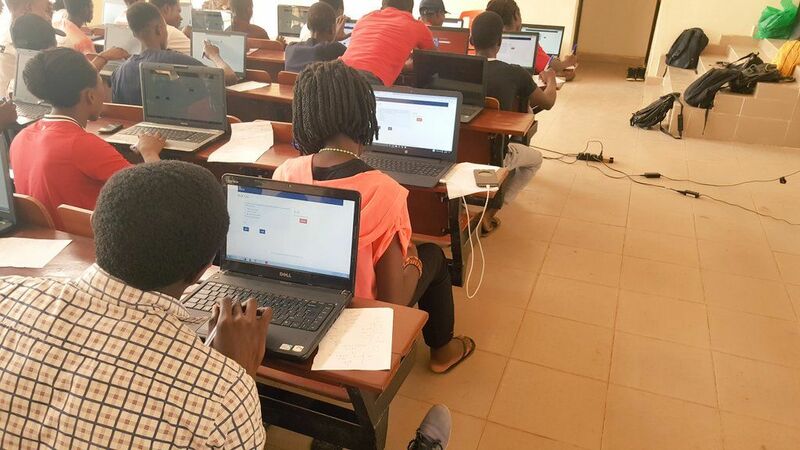 WHAT CAUSES IT AND HOW TO OVERCOME JAMB FEAR? "I wrote jamb six times and I failed six times." Wait! I'm not talking about myself. This was the exact speech given by my very own sibling. How can that be? There is one thing I have observed though. Whenever time draws closer, students start getting scared of writing jamb. The fear of jamb has affected you that I can even count your breath because it almost appears that life is leaving you. Mhhhm! But after reading this you will thank me. To surprise you, many students are already turning away from their sins, while some are fasting and praying. "God, I must not fail jamb this year, I must pass! " is the everyday prayer. The fear for an exam happens to be a habitual act among numerous students. Jamb fear (otherwise called jamb phobia) is a frightening perspective experienced by a student, as to whether (S)he will pass the Exam. To overcome jamb fear you have to arrest it with these straightforward and powerful techniques. Funny to state, the joint admission and matriculation board examination (Jamb) has intimidated numerous students for quite a long time, am talking about the students who are frequent 'Jamb customers' like my sibling who wrote jamb for six years. Such a person should definitely get more fuss about the examination. Well, on the off chance that you fail jamb again, you'll have to kiss goodbye to 'Tertiary institution'. However, it will never be so for your own situation. Right now I am going to show you how to overcome jamb fear and as well teach you how to score 300+ In Jamb. Let's go ahead. Shall we? The reason behind jamb phobia is unavoidable by must students. That is the fear that comes from the computer. This sort of fear is attached to the computer. Basically, you might be scared of utilizing the computer to answer questions because it isn't everyone's thing. Most students prefer the comfort of the good old-fashioned system of writing jamb when it used to be a written exam. Honestly, it might also be your first time of utilizing the computer and subsequently, you are now scared on the most proficient method to use while answering questions in a CBT platform in the joint admission and matriculation board examination. This sort of fear could be managed extremely quick. However, it will need a more practical approach. Wait! I will tell you exactly what to do on how not to get scared while writing jamb using the computer. * The other reason that makes students fret at the mention of the term 'JAMB ' is a nonexclusive one. This has to do with the prospect that dependably rings a bell; whether you will score high in jamb or not. The first reason i stated is somewhat similar to this, but in this case, i am tagging it as a generic factor experienced as a result of personal emotional instability. Fear just comes emotionally not as if it is serious, but when you start thinking of the effects of failing the fears starts increasing. * And to conclude with the last reason. I bet this is funny. Some students have ancestral problems, I mean most fear arises from a spiritual occurrence. Believe it or not, it exists and I have seen it happen. So take my words, if you are scared of jamb and you don't have any explanation for it or the reasons above do not correlate. Then it's likely your village people are disturbing you. Here are awesome strategies and steps to try out (as I promised to give you). Face your fear, never run from it. Always be in the midst of happy people or keep a friend to always engage you. These above 6 tips would certainly do more than you ever imagined. That's not all! Wait let me put more light on these six magical approaches. So without further ado, let's dive in as I bring in more light on this. Tons of students are warm-hearted. Well, am talking about you. A little event can cause you to start fretting like a cat in the winter; It means fear is rooted in your bones. You need a very strong heart that dilutes any form of examination fear. 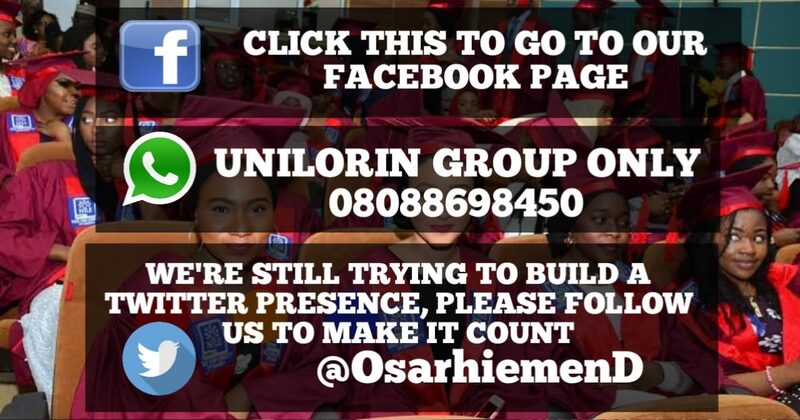 This is a magical tool to overcome jamb fear. Simply put; Have only positive expectations, this speaks a thousand words. When your mind is asking you "what If I fail?" Just ignite this tool "Hope" I.e Have only positive expectations. Your reply should be " I won't fail "
But never use the term "I cannot fail"
Only say "I won't fail"
Do you know the reason for this? I will explain this in step Number four. So don't expect a low score. Always remember this. Any jamb student that expects a negative result is indisputably inviting failure. Every Day and night, have Hope till you finish the Examination. Did you know the best way to avoid fear is to arrest it spiritually? When you have a physical problem you and I know the method to overcome It would be taking a physical approach. Let's say you lost your money. The solution is physical as you ought to take action by looking for it. Now we are dealing with the case of "FEAR!" Cambridge English dictionary (backlink ) defines fear as an unpleasant emotion. The key term here is "Emotion"
In plain English, you can't see an emotion because it's a feeling. Won't you agree with me that to deal with the unseen you need to use the unseen? I don't give a freak about what religious background you represent, just take a spiritual approach by praying and inviting the angels to deal with your fear and see how it would magically fade away. What one may think is normal may sometimes not be; overtime the spiritual controls the physical. 3. Face your fear, never run from it. This third method is very efficient for arresting jamb fear. I know you're very intelligent so I want you to join me do some psychological reasoning. You are walking on a lonely street one certain day. In a spur of the moment; a big dog came out, boom! Perhaps, you don't want it to chase you and bite you. So what will you do at the scene? 90 out of 100 people reading this blog post right now would run if they were in the position of the above situation. Let me spill the bean. When you run from a dog because you're scared of it, you're giving it more reason to chase you, the more you run, the more it would chase until one gets tired or outruns the other. But take a look at it the other way round. If you come across a dog and you ignore it by going your own way, acting as if you only saw a fly. The dog itself would become scared and most commonly it will also face its own direction. Or let's say you pick a stick and confront it, the dog would heck off to save it life. Did you get any meaning from that? Never be scared of anything or it will keep chasing you. Face it boldly and it will find its way. By now you're already conquering your fears, congrats! As I begin to draw the curtain close let's talk about another interesting fact. Admittance is the first approach to solving a problem. Fear is a survival instinct. Without it, you can't survive as a human when handling life situations. Sometimes Scientists localize such natural phenomenon and term it as a lizard brain ( amygdala ). I am not trying to speak grammars, I want to let you know how life works. Fear is something you need; to keep you aware of the danger as humans, and that is why the creator instilled it in you as an emotion. Fears are deeply ingrained into our genes. So you needn't have to worry. Have you ever got bitten by a snake? Perhaps not, and yet you fear snakes. As a science student, I can boldly give you a theory that explains fear as a pure chemical reaction originating in one or more areas of the brain. So if your mind is racing and your heart feels as though it’s going to pop right out of your chest! Because of jamb phobia; then it's time to calm down. Now that you know you can't live without getting scared of jamb. Let me also surprise you a little. Do you know you need to accept failure? Someone reading this would be like, "Osas, Have you gone crazy? Why should I accept failure? " Well, well, well, I wish I didn't have to say it, but it is the harsh truth. But there's always this nerd speculation that everyone keeps twisting. This is my field of expertise, you had better take it or leave it. You need to accept failure in a way. Why you should accept failure? Now I would explain why I suggested this rational idea that may sound awkward to you. Who will say it's impossible to fail jamb? In fact, once you don't do the required no miracle can prevent the failure. But I should warn you! Be very careful why using these terms. It seems very complicated but it's very simple to understand. The best way to explain this is with these two phrases. I am going to explain this, right now! I'm utterly convinced that it's very appropriate to understand the terms you use in your everyday life. You have to be able to differentiate correctly between "I can't" and "I won't." As a rule of life and rationalism, when somebody "can't" do something, it implies that (S)he lacks the skill to do it; when somebody "won't" do something, it's because he or she lacks the will to do it. "I cannot pass jamb." This means you currently lack the ability to pass jamb. "I won't pass jamb." This means you've decided not to accomplish the task, even though you could if you wanted to. This distinction seems pretty clear, Right! I know sometimes you often say "I can't" when you mean "I won't"
"I can't get married to a mad person." "I can't cut my hand with a knife"
"I can't quit smoking. It's just too hard." "I won't fail my exams"
Never " I cannot fail my exams"
The English language matters a lot, always think out of the box. Without diverting, use the above explanation in contrast to these phrases. How does accepting failure abolish jamb fear? Here is the big deal! Let's say I have accepted failure, yes it's possible to fail, so what? It means am not afraid to fail because I have already accepted failure as a life event. But I will try and pass. If I do, good! If i don't, I have to accept it because I can't kill myself. 5. Always attend CBT before jamb. If you're the type that is afraid of the computer, go to any jamb CBT center around you or a cafe rather. You needn't have to spend much, just make sure you practice very well before the Examination. If you're already used to computers you would never have to fear jamb. 6. Always be in the midst of happy people or keep a friend to always engage you. Remember to keep only positive friends. Here comes the final step to stop getting scared of jamb. If you're around positive minded people you would be filled with positivity and more hope. But if you are around negative people, the fear would persist. I have given you the best solution to deal with any form of examination fear. If you did not get all of it, bookmark this page and come back to read again carefully. I am very positive that everything I explained above is a powerful solution. Better still leave a comment below, tell me where you don't understand and I will break it down. Likewise, I promised to teach you how to pass jamb and score 300+. To End this guide, I have a gift for every student afraid of jamb see "Best advice for every jambite 2019"
Feel free to share this if you enjoyed it.